We are open to new ideas coming from our partners and implement them reliably, flexibly and by highly innovative processes with remarkably high operating speed. Open and loyal collaboration with our partners is more than just a phrase for us but is included in our service as a standard component. For example, you will get regular updates informing you continuously about the progress of your study. 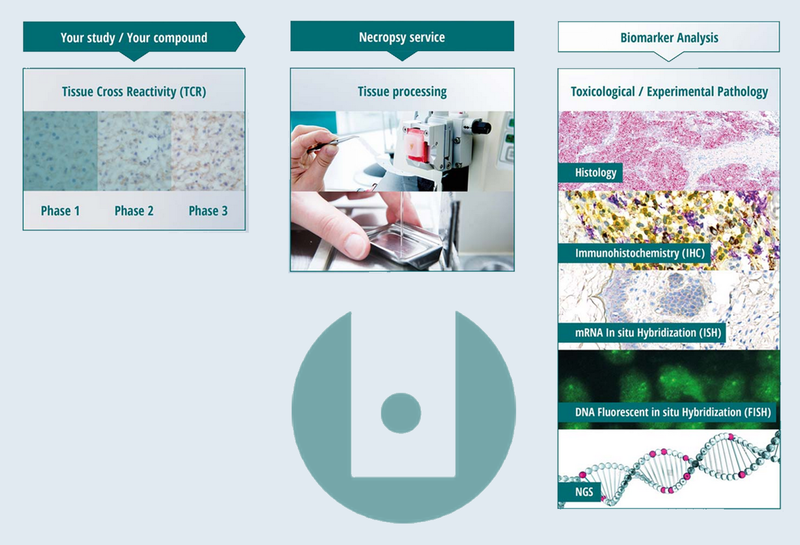 As an innovative service provider, we offer you a unique research platform which supports and complements results obtained with our classical in vitro methods by examinations of human tissue materials. With these additional services, TPL Path Labs enters a new dimension of relevance and reliability of preclinical results. We offer services in Toxicological Pathology and Immunohistology. These in vitro methods increasingly find their utilisation in preclinical studies. For tissue implants, in addition to the cutting and grinding technology, we offer studies on irritations, tissue integration and morphometry. As complementary services we offer in vivo-like methods for human and tissue-specific investigations. We perform histopathological analyses for clinical studies. TPL Path Labs is specialised in displaying effects and adverse events through conventional histology and a broad spectrum of special stains. Particularly helpful is our tool for immunohistochemistry – this allows us to quantitatively evaluate therapy success computer-assisted.